Today, perhaps more than at any time since 1945, the prohibition on use of force that has been the backbone of the international order for most of the last century is under attack. Indeed, it is in danger of collapsing – and taking the order it upholds down with it…. But international rules regarding the use of force are not a minor feature of the world we live in – and the fact that these rules have often been broken should not obscure how important they remain. They are at the heart of some of the most beneficial transformations of the past 70 years, from the global decline in interstate conflict and combat deaths to the rising wealth and health that peace has allowed. With these rules at risk, the international community is facing a crisis of extraordinary proportions. Yet few people appreciate how serious and imminent the crisis is. 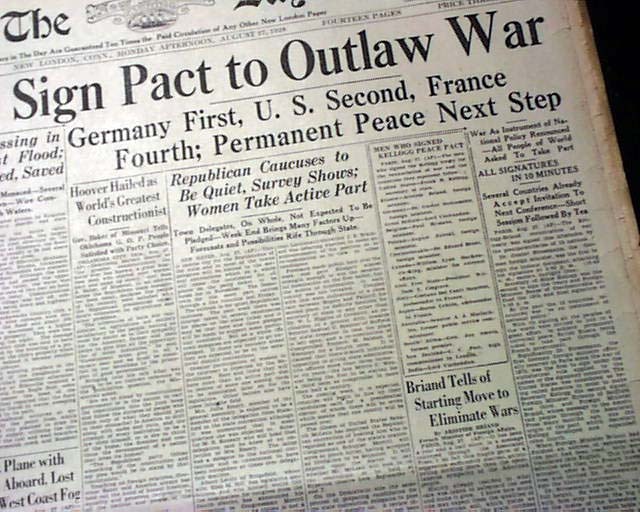 Fewer still understand where these rules came from: a now-almost-forgotten agreement known as the Paris Peace Pact of 1928 that was eventually signed by all the nations of the world and had the immodest goal of outlawing war. In order to appreciate the magnitude of the threat, we must return to a world very different to our own, one in which the rules that we currently take for granted did not exist. The risk we face is reverting to this world, where might was right and war was legal. You can read Louis Menand‘s extended review at the New Yorker here. 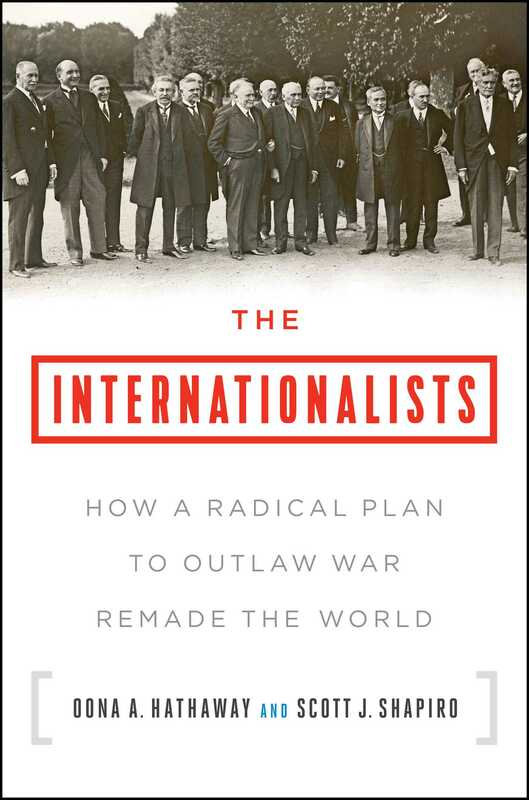 This entry was posted in law and tagged international law, Kellogg-Briand Pact, laws of war, Oona Hathaway, Peace Pact, Scott Shapiro by Derek Gregory. Bookmark the permalink.